In April 2014, Cumbria Community Foundation’s Quarry Hill Grassroots Fund supported five West Cumbrian schools to join the Energy Club initiative. The Energy Club is a volunteer backed initiative, providing a lasting legacy from the Olympic and Paralympic Games, led by Sports Leaders UK. 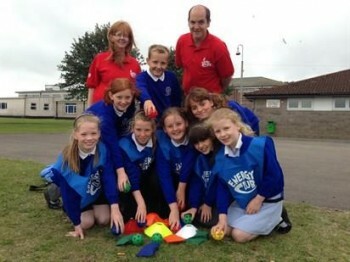 The grant allowed Broughton Moor primary School, Ewanrigg Junior School, Maryport Junior School, Silloth Primary School and Flimby Primary School to set up their own Energy Clubs and train their volunteers. The 6,000th Energy Club Leader to be trained was Joanne Brooks, PE Co-ordinator at Silloth Primary School in the Allerdale area of Cumbria. 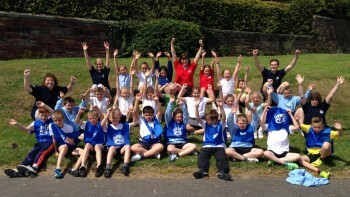 Silloth Primary school has eight leaders trained, including two teachers, four support staff and two parents, and twenty of the school’s Year 6 pupils who have completed the Sports Leaders UK PlayMaker award course will assist the leaders in running the Energy Club. Joanne Brooks, PE co-ordinator at the school said: “We all left the training feeling very positive about the benefits this will bring to the school and our children. The staff and parents feel that Energy Club will bring cohesion to play at lunchtime, and through our Year 6 PlayMakers we can offer opportunities for the older children to become more responsible and be good role models for the younger members of school. Maryport Junior School signed up to become an Energy Club school in April 2014. Six parents and staff from the school successfully completed the Energy Club Leader Award in July 2014. Since then the staff and parents have worked together to provide a free after school club for up to 30 Key Stage 2 children on a weekly basis, providing the children with an extra hour of structured physical activity, as well as teaching them about making healthy choices. 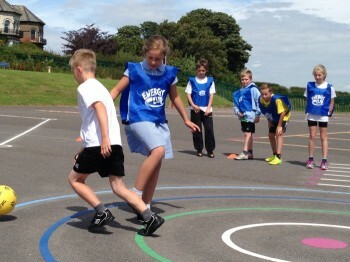 The school will be continues to run the Energy Club in as well as their own PlayMaker Award course. This course will give the Year 5 and 6 children who have been involved in the Energy Club, with the leadership, organisation and communications skills needed to assist in the running of these sessions and will result in the school running another Energy Club at lunch time. Sarah Kirkbride, PE Co-ordinator at Maryport Junior School said “All the staff and parents left the training feeling very positive about the benefits Energy Club will bring to our school. The scheme will bring cohesion to play, offer opportunities for the older children to become more responsible and allow them to be good role models for the younger members of school. Find out more about the Quarryhill Grassroots Fund here or contact our Grants and Donor Support Officers on 01900 825760 enquiries@cumbriafoundation.org.